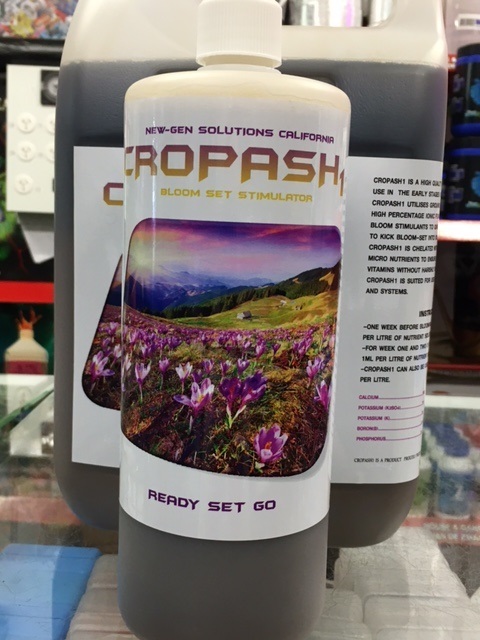 Cropash1 is a high-quality Bloom set stimulator designed for use as pre bloom setup in the early stages of the bloom cycle. 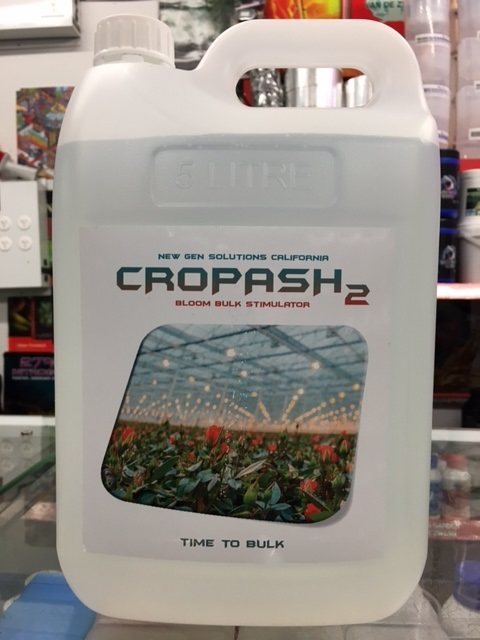 Cropash2 is a bloom bulk stimulator design specifically for use after the second week of the bloom cycle. 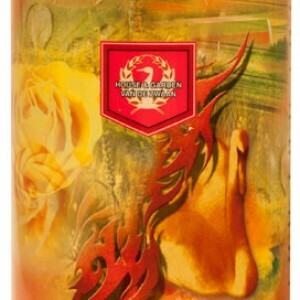 Categories: New-Gen Solutions California, Additives. 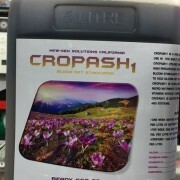 Tags: cropash, potash. 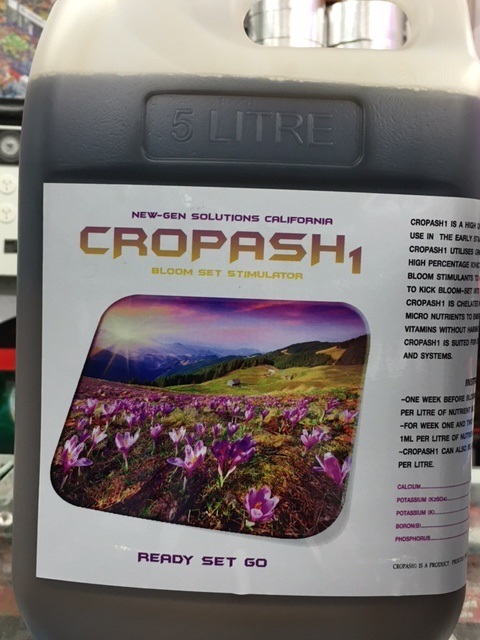 Cropash1 utilises ground breaking technology to combine a high percentage ionic form of calcium with other known bloom stimulants to give your plans the boost they need to kick bloom set into over drive. 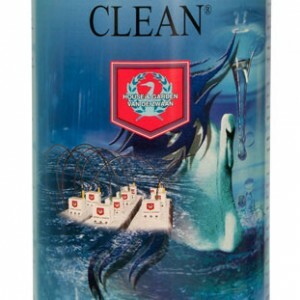 Cropash1 is chelated with amino acid, boron and various other micronutrients to ensure a smooth delivery of much-needed vitamins without harshly shocking your plants. 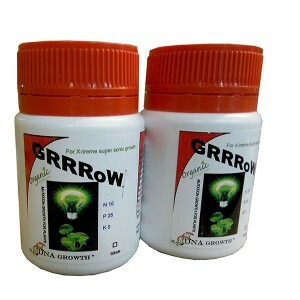 Cropash1 is suited for use with all types of growing mediums and systems. 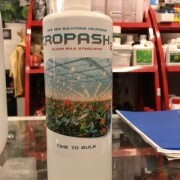 Instructions for use Start using cropash1 2 weeks before blooming at the rate of 1ml per litre of nutrient solution and continue using for the first two weeks of bloom. 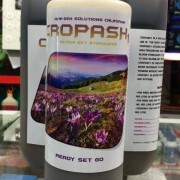 Cropash2 is an organic blend of phosphorus ,potassium ,chitin and other minerals proven to improve energy transfer while increasing cell division and forcing movement of sugars to positively impact flower quality and size. 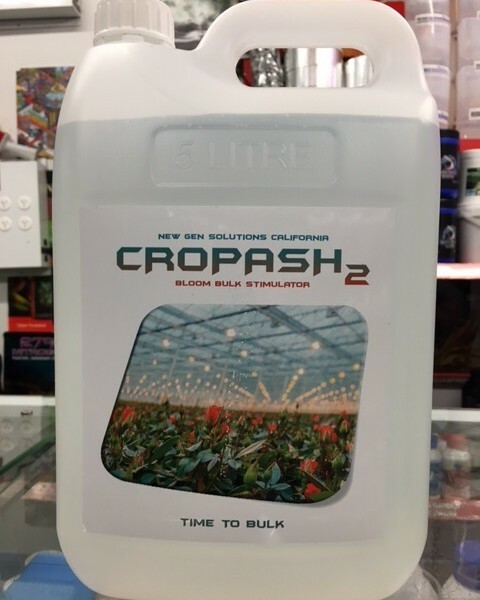 Cropash2 has been designed to work in conjunction with pre-use of cropash1 for best results and is perfectly suited to all growing mediums and styles. For general use add 1ml per litre of nutrient solution, start use at the start of week three of the bloom cycle and continue until pre-harvest flush commences. 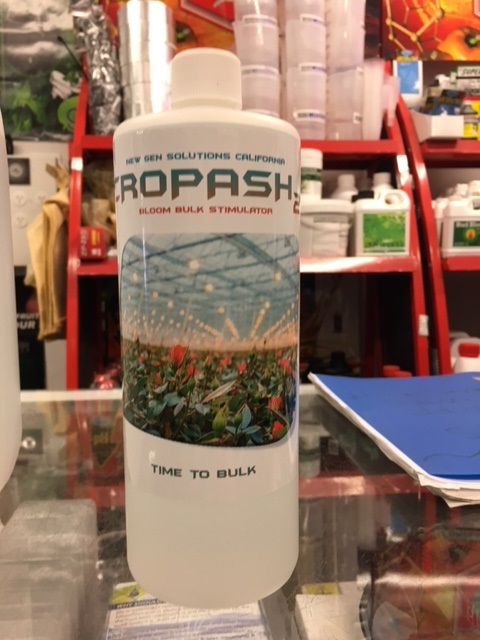 Cropash2 can also be used as a foliar spray at the rate of 10ml per litre once every five days and conclude foliar applications three weeks prior to harvest. 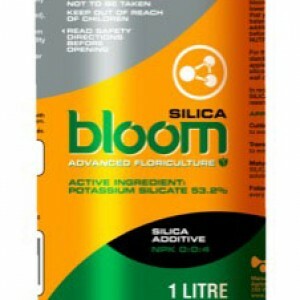 SuperStack mode When your flowers have reached week five , lower your base nutrient strength by half, or to 800 ppm and add cropash2 at the rate of 2ml per litre of nutrient solution, but you must flush your system every 3 to 4 days, this will boost your flower size and force Resin production dramatically.